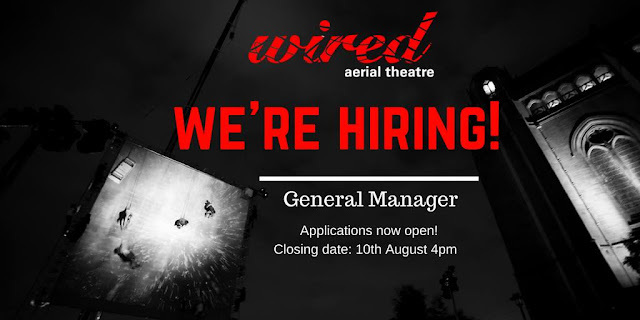 Wired Are Hiring: General Manager!! The ideal post-holder will have at least 2 years experience in the arts; experience of managing people; an interest in the dance and performance sector; be confident with budgets and financial management; and have an eye for developing creative opportunities. Excellent communication, organisation and time management skills are also a necessity in this fast-paced office environment. The closing date for completed applications is: Friday 10th August at 4pm!